The 1980s get a bad rap. 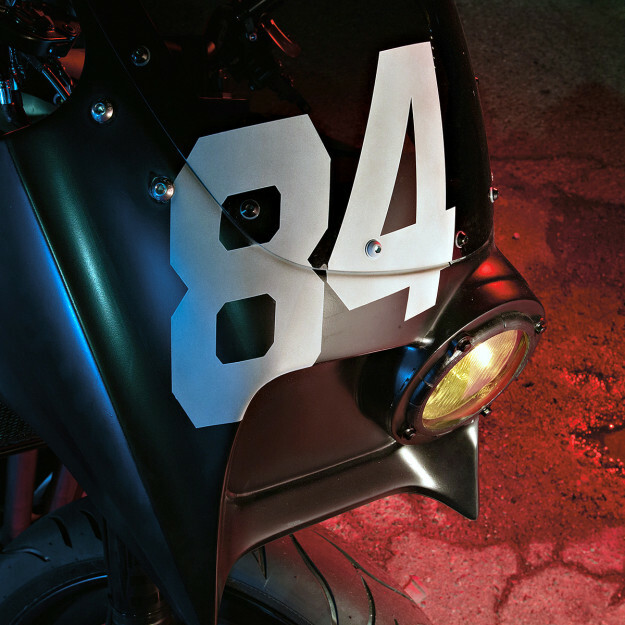 Music, fashion and hairstyles are all cheap targets—and 1980s motorcycles haven’t fared much better. But if there’s a bike that deserves a second chance, it’s Kawasaki’s blindingly fast GPz900R. The narrow 16-valve engine was light years ahead of others in the technology stakes, and pumped out 115 bhp from just 908 cc. It was enough to make the GPz900R the first production bike to top 150 mph. 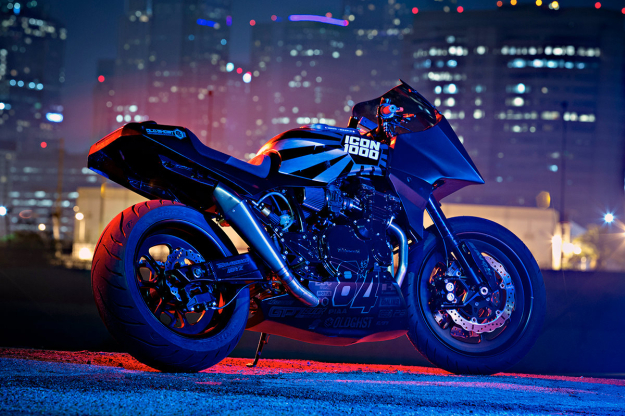 Walter and his crew at the ICON headquarters in Portland have now turned the spotlight back onto the Ninja 900. 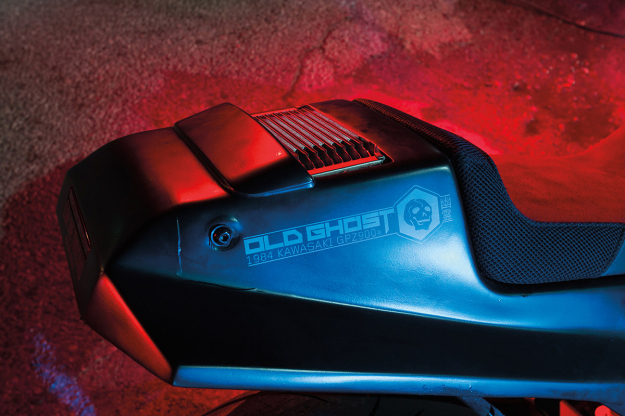 ‘Old Ghost’ is an endurance-styled take on the original sportbike, with new bodywork and tasty suspension upgrades. The donor bike, bent and broken, was rescued from a garage in Albuquerque. It’s a 1984 model, launched when y’all were enjoying the Los Angeles Olympics, The Terminator and those new-fangled compact disc players. 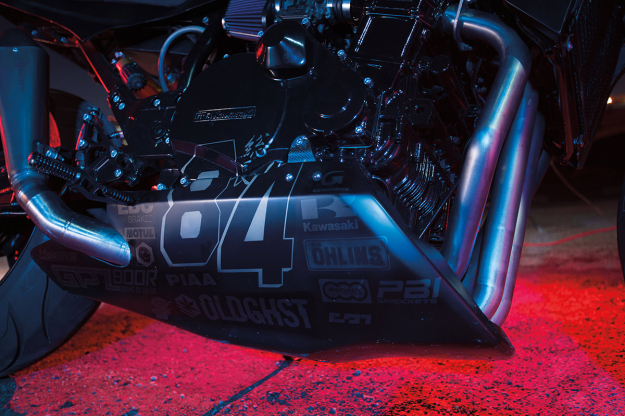 Most builders would be happy with 115 bhp from a thirty-year-old bike, but the ICON mechanics have treated Old Ghost to a useful power boost, thanks to a 972 cc Wiseco piston kit and a Racefit exhaust. 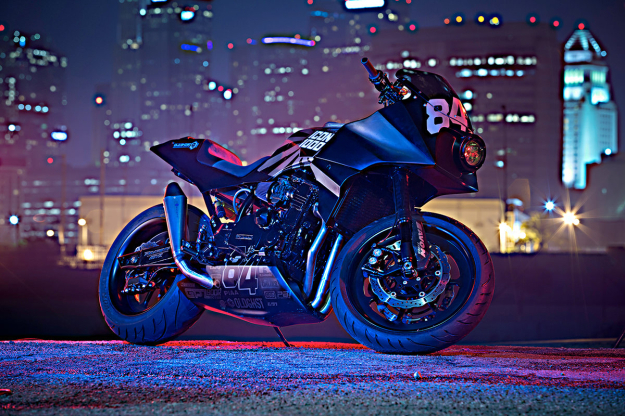 Keeping the show on the road is full Öhlins suspension front and back, and one-off prototype billet wheels stolen from an OEM manufacturer. They’re shod with Avon Cobra rubber, and there’s a custom swingarm from Roaring Toyz for added stiffness. 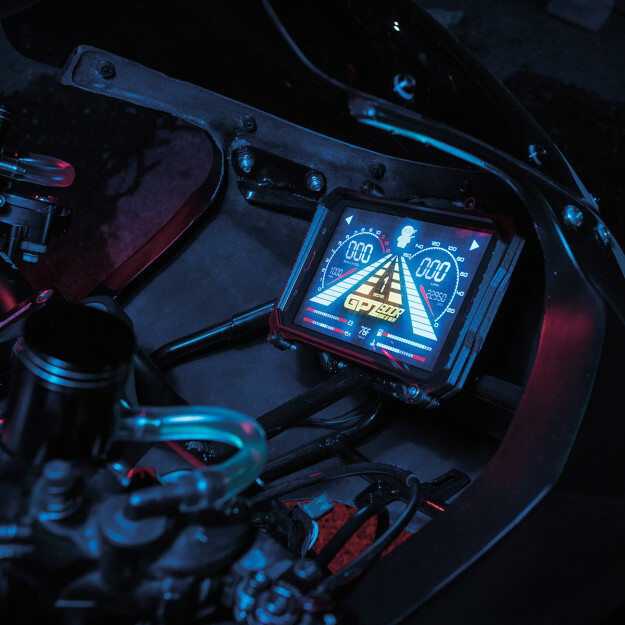 A tablet with custom graphic overlays provides information for the rider, and there’s a smattering of decals on the belly pan—a neat hat-tip to the partners who helped out with hardware. 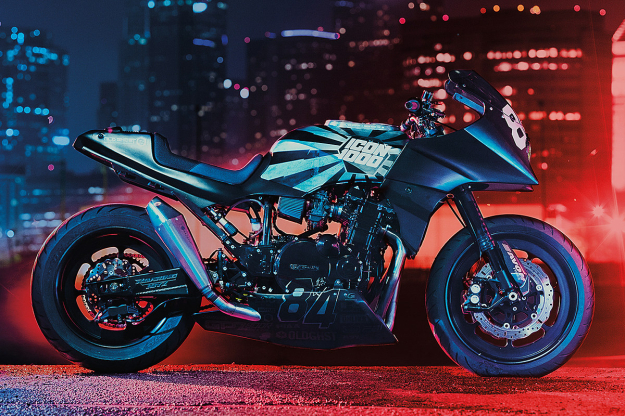 It’s a bike that would look at home racing through the streets of Tokyo at night, flanked by crazy Bōsōzoku choppers. Maybe the 1980s revival starts right here? Head over to Vimeo to see Old Ghost in action. Then check out the ICON website for a heady dose of the alternative motorcycle lifestyle—and a first look at the new ICON 1000 Fall/Winter 2014 range of gear.